White Pine County spans a total area of 8,876 square miles, with about 95% of the County’s total area managed by the federal government. Ely is the county seat. White Pine County’s population is 10,030 (U.S. Census Bureau, 2010), with about 1 person per square mile. Its population is dispersed primarily among its three most populous towns: Ely (4,255), Ruth (1,669), and McGill (1,148) which account for over 90% of the population. White Pine County’s history is deeply rooted in the ranching and mining tradition of the Great Basin and its economic prosperity has been tied directly to the fortunes of the mining industry. As gold, silver, and copper were discovered in eastern Nevada, mining boom towns and agricultural settlements developed. The decades between 1906 and 1978 were marked by prosperity and confidence that mining would support the County’s economy indefinitely. However, in 1978 Kennecott closed the copper mine and cut its smelter workforce drastically. In 1983, Kennecott closed the smelter with a devastating impact on the community. From 1980 to the present, fluctuations in gold and copper markets have played a major role in the County’s economy and have been reflected in the fluctuations in the County’s population, employment patterns, and public revenues. Today, with gold prices increasing steadily and the copper market strengthening, mining exploration, development, and production have increased. Ranching continues to support cattle, sheep, and alfalfa production and remains an important part of the County’s economy and culture. Additionally, the County turned to its outdoor recreation and historic attractions to increase the tourism industry. Current diversification efforts are concentrated in the renewable energy and aerospace industries. White Pine County is provided power by Mt. Wheeler Power. A report titled “White Pine County Renewable Energy Resource Assessments and Feasibility Study Report” (Feasibility Study) was completed in January 2014. The report was prepared to help community leaders and developers to understand and capitalize on the area’s renewable energy resources. The work was accomplished with grant funds awarded by the Department of Energy’s Renewable Energy Research and Development Grant program administered by the Energy Efficiency and Renewable Energy Program (EERE), and supplemented with local matching funds and in-kind contributions. 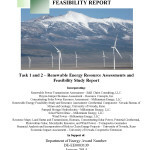 The purpose of the hypothetical feasibility analysis was to provide an initial understanding of potential financial considerations for actual clean energy investments. The scope of work for the White Pine County grant was designed to: 1) provide data and evaluate the potential for development of renewable energy resources in White Pine County; and 2) analyze the economic feasibility of each type of renewable energy project that has potential for development in the County. Renewable energy development is emerging as a new industrial cluster and will continue to grow as transmission capacity increases and technology improves. As interest in renewable energy projects gained momentum in the period from 2008 through 2010, the transmission capacity in combination with potential for wind development have generated substantial interest from potential renewable energy developers. The County is also working to develop additional industrial sectors based on biomass, including utilization of pinyon-juniper resources. CLICK HERE or ON THE IMAGE MAP to view or download the 34″ x 44″ PDF version of the map. Biomass: There is potential for development of biomass for power generation through utilization of the pinyon and juniper material thinned from public lands as a part of the landscape restoration effort. 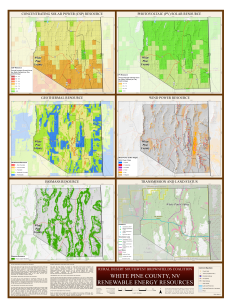 The Resource Management Plan (2008) identifies an excess of one million acres of pinyon-juniper woodland in White Pine County that requires treatment. Geothermal: The County has warm geothermal springs but no geothermal resources capable of supporting energy development with current technology. Spring Valley Wind Farm in Ely, NV. Photo courtesy Pattern Energy Group LP. On August 8, 2012, Nevada’s first utility size wind farm was opened in Spring Valley. Pattern Energy Group’s Spring Valley Wind Project is a 151.8 MW plant located 30 miles east of Ely and consists of 66 Siemens 2.3 MW turbines and a substation on 7,673 acres of BLM land and will connect to the existing 230 kV line that is adjacent to the project site. The power is provided to NV Energy under a power purchase agreement (PPA) to help the utility meet its portfolio standards. The project generated an estimated 225 construction jobs and is anticipated to sustain 12 full time jobs during operation. 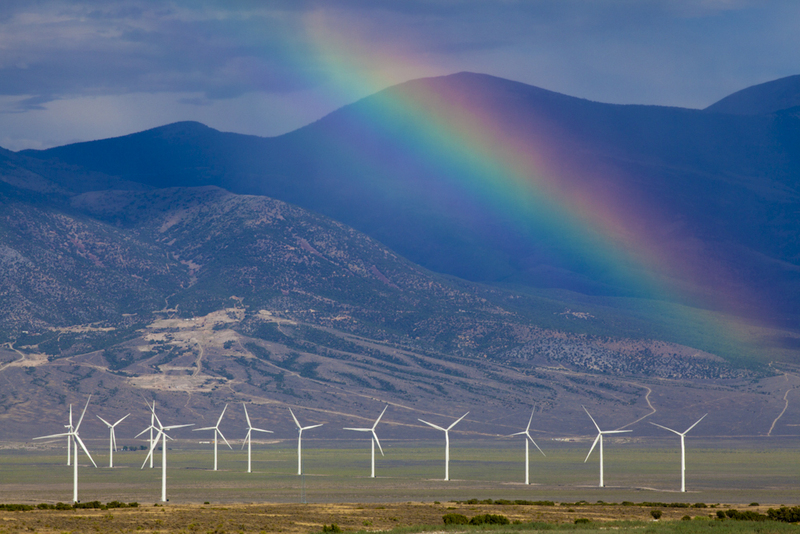 Ely Wind Mountain Project was proposed as a 700 MW plant to be sited on 14,000 acres of land for the northern portion of White Pine County and southern Elko. The 250 MW Black Horse Wind project was proposed by NextEra Energy Resources to be located north of the Spring Valley Wind project on 25,000 to 40,000 acres of public land; however, the application was withdrawn. The Wasatch Wind Intermountain project was proposed for Hamblin Valley on the eastern border of the White Pine County approximately ten miles south of Baker and would involve over 43,000 acres of public land in both Nevada and Utah. Hydroelectric: White Pine’s water resources provide opportunities through low-level hydro generation as creeks flow from the mountains to the valley floor. The White Pine Pumped Storage Project was proposed by Gridflex Energy, LLC and White Pine Water Power, LLC. The project is proposed to be located about 7.5 miles northeast of Ely near the Gondor Substation and is being designed to generate 750 MW. The project has a long term permitting process through the Federal Energy Regulatory Commission (FERC) which has given its initial approvals to begin working through the BLM NEPA process. The transmission capacity being developed through a joint venture agreement with LS Power and NV Energy, who are constructing the One Nevada (On Line) 500 kV transmission line (north and south). The development of the Robinson Summit substation located at the Thirtymile site on U.S. Route 50 west of Ely could provide renewable energy projects in White Pine County access to the transmission system. A PDF version of a table summarizing White Pine County Load Service Utility Information for the load serving utility in White Pine County: Mt. Wheeler Power. Under the RDSBC project, eight parcels were assessed in White Pine County. The assessed properties included: one parcel at the McGill Ball Park, one parcel at the McGill Library, three parcels comprising the Lee Vacant Commercial property, one parcel at Central Ely School, and two parcels at the Hughes Parcels 03 and 04 properties. 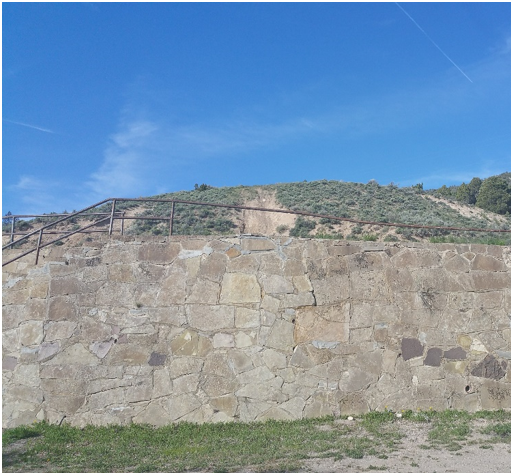 The park was constructed by Nevada Consolidated Copper in the early 1900s, providing its employees with a place for recreational activities. The property was later owned by Kennecott Mining Company. Although it is not known when Kennecott came into ownership of the property, in 1961 ownership was transferred to the White Pine School District. 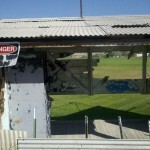 The site was acquired by the Nye County Board of Commissioners via quitclaim on March 14, 1994. 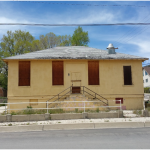 Abatement of asbestos and lead containing materials was completed in the spring of 2014. 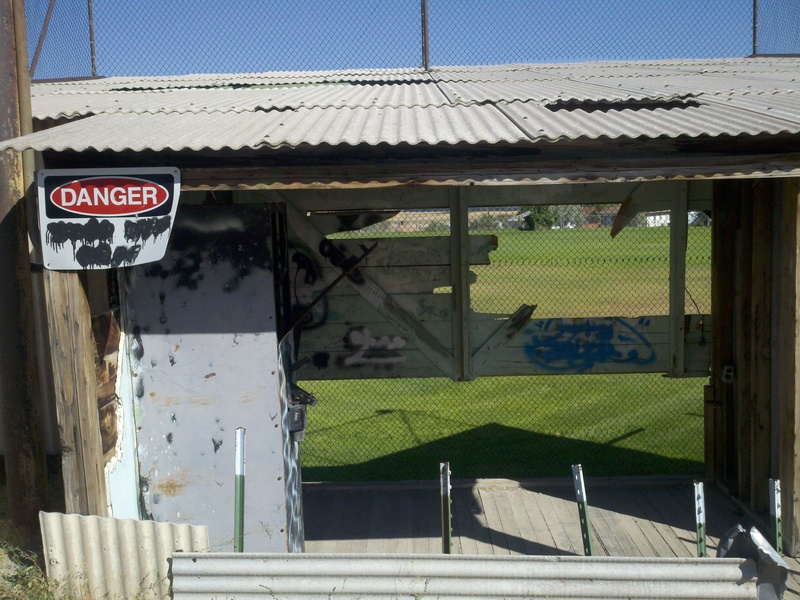 The McGill Ball Park, which is the oldest ball park in Nevada, received funding for refurbishing and reuse as a community facility. 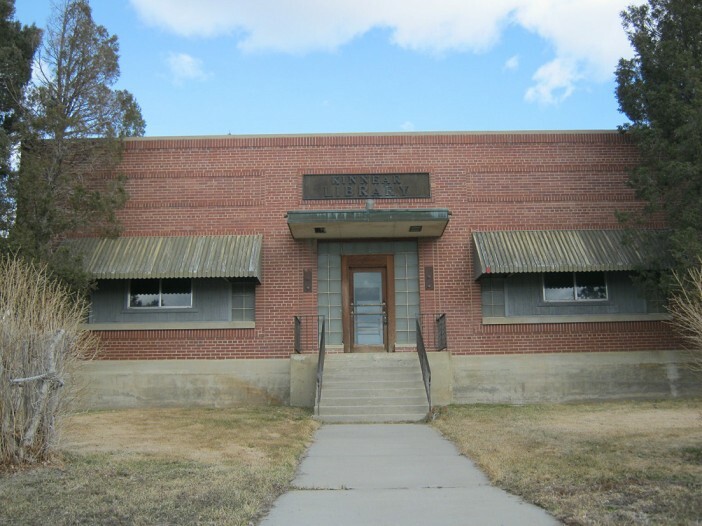 The McGill Library, also know as the Kinnear Library, is currently owned by the White Pine County Commissioners and is located in McGill, Nevada. The site is 0.67 acres and the property is comprised of a single-story building that was constructed in 1940. The building is approximately 2,200 square feet in size, with exterior walls constructed of brick. 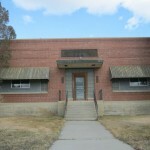 The Library was owned by Kennecott Mining Company until 1977 when they gifted it to White Pine County to be utilized by the residents of McGill. Once gifted, the library was used for Town Hall meetings, EMT and Volunteer Fire Department meetings and training, and American Legion meetings. Currently, the building is vacated and in need of repair. There are no known uses of the site that would indicate potential disposal of hazardous substances, pollutants, or contaminants. 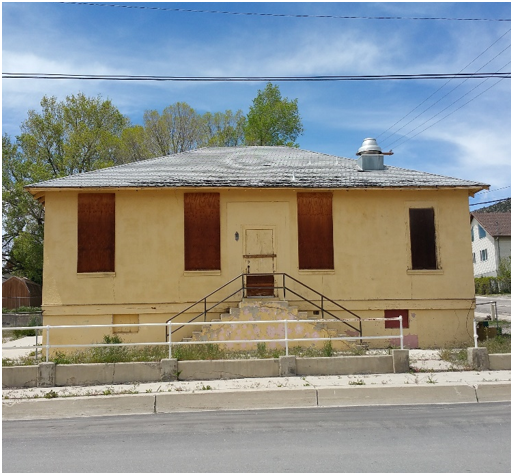 The building has been proposed for new renovations that would update the structure so that it could be efficient for daily use as a library, for cultural activities, and for use as a Town Hall meeting place. However, due to the age of the structure, there is potential for asbestos containing building materials and lead-based paint to have been used within the structure prior to White Pine County receiving it as a gift. In addition, there is potential for petroleum contamination on the property if a heating oil tank and boiler were utilized in the past. Lee Vacant Commercial Property in Ely, White Pine County. 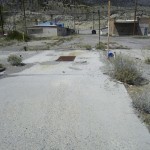 The site is located at the northeast corner of Aultman Street (U.S. Route 50) and 2nd Street in Ely, Nevada. The subject site consists of 0.56 acres of undeveloped commercial property and is predominantly asphalt paved. One approximate 10 x 10 foot on-site structure is located on the southeast corner of the site. The last previous use of the subject site was as a car dealership sales office. The earliest known use of the site dates back to 1912. Previous site uses include Evans Blacksmithing and Welding Shop, Hyland Motor Company, Al’s Radiator Shop, Al’s Gun Shop, and the Lincoln Highway Garage, which later became the E-Lee Ford & Mercury dealership and service center located across Aultman Street. Central Ely School in Ely, White Pine County, NV. The subject site is comprised of a 0.29 acre parcel and one 3,696 square foot former school house constructed in 1920. Based on a review of historical documents, including White Pine County Assessor and Recorder records, White Pine County School District owned this property from 1922 until 2005. A Phase I Environmental Site Assessment (ESA) was conducted in June 2016. Based on the age of the structure, observations made during the site visit, and interviews conducted with former users of Central Ely School and White Pine County School District, the potential exists for asbestos-containing materials, lead-based paint, and mold in the building. Based on information provided by White Pine County Maintenance and observations made during the site visit, the building’s failing structural integrity poses an immediate threat to health and human safety. Additional environmental investigation was warranted. Environmental reports are available upon request. Hughes Parcels 03 and 04 in Ely, White Pine County, Nevada. 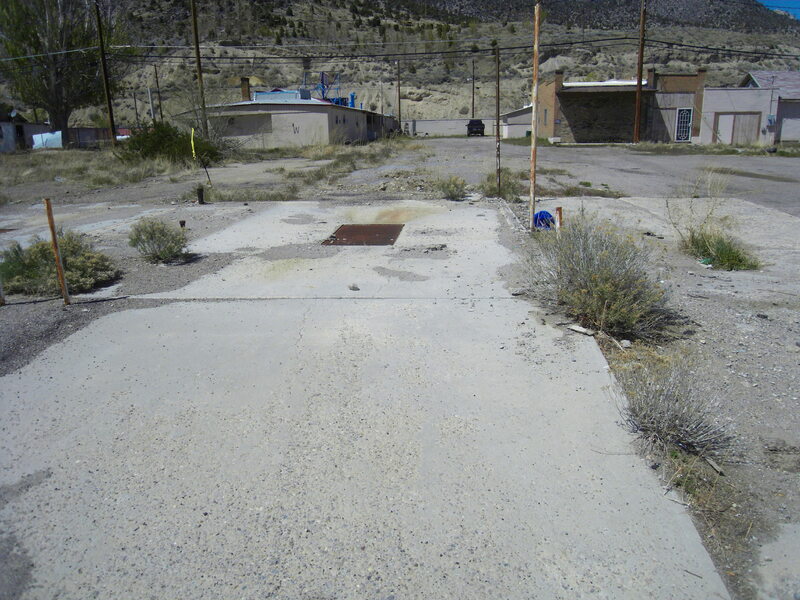 The subject site is comprised of two parcels totaling approximately 0.77 acres south of U.S. Highway 50 and west of 1st Street, Ely, Nevada 89301. 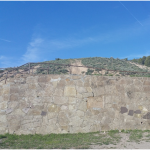 Interviews with former users and adjoining property users indicate the property has not been developed except for one stone wall, and is currently used by residents as a trailhead and picnic area. A Phase I Environmental Site Assessment (ESA) was conducted in June 2016. The ESA did not warrant any additional environmental investigation. Environmental reports are available upon request.